The world has innumerable problems such as environmental protection, population problem, energy problem, low birth rate and aging, etc. In order for human society to overcome these problems and sustainably develop, creative innovation is required. 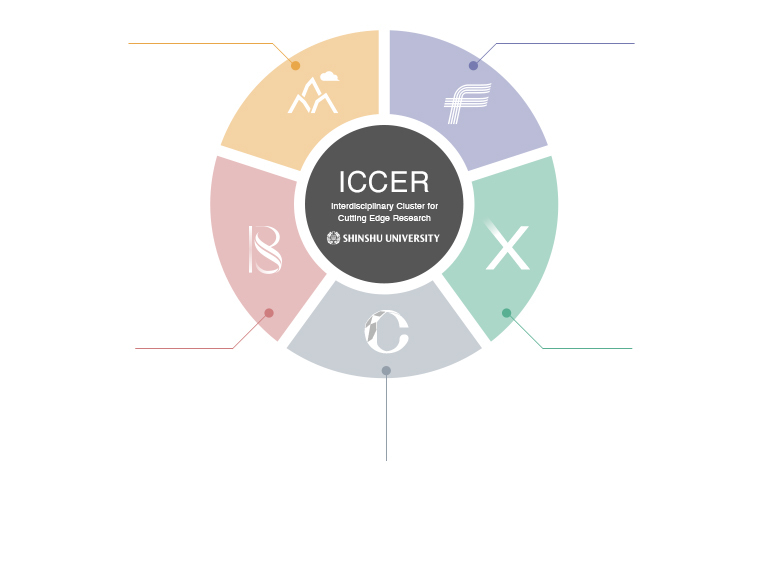 Based on this situation, an Interdisciplinary Cluster for Cutting Edge Research has been established that includes 5 research institutes: the " Institute of Carbon Science and Technology " , " Center for Energy and Environmental Science " , " Institute for Fiber Engineering " , " Institute of Mountain Science " , and " Institute for Biomedical Sciences " . In these research institutes, the education and research areas that need to be continued into the future and that can be undertaken as fusion and collaborative education and research have been selected in accordance with the characteristics of Shinshu University. In these research clusters, by developing the environment with an emphasis on research, inviting prominent external researchers, and introducing new human resource development systems to cultivate young researchers into prominent researchers, it is considered that the next generation of outstanding researchers will be nurtured, while maintaining our position as a center of excellence.